I initially created a Django project in Intellij using the Python plugin. By "created" I mean I had no code in that project, but used Intellij to create it. Then I got a new machine, installed Intellij IDEA X on it, enabled the Python plugin, and checked my Django project out of my Git repo. Now Intellij understands that it is a Python project, but it does not add the Django facet to it. So now it doesn't let me run the test server inside of Intellij, and etc. Nor does it seem like I can add the Django facet manually. select your module, press the button and add the facet. OK, it's supposed to let me add the Django facet, but it doesn't. See the attached screenshots. I can add the Intellij files on the other machine and move it over. 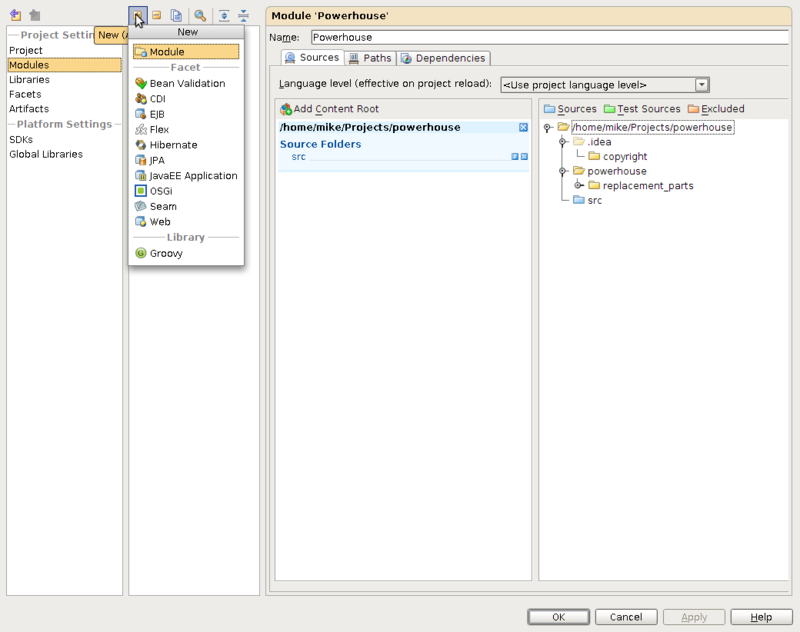 So then how do I create a project from existing source without having it be a Java project? Or do I need to put the IDEA-specific files into git for it to always be a Django/Python project? into git for it to always be a Django/Python project? That worked -- and you knew it would. I've always been nervous about "doing it from scratch" because I thought it was looking for an empty project and would error out (or worse . . . ). Anyway, thanks for helping the newbie out!